Happy Hundredth Birthday to Craighall Park! Feels like spring not autumn here in Jozi with temperatures of 27° over the week-end. 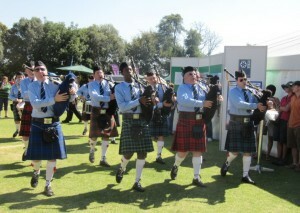 And what better way to enjoy the unseasonably warm weather on Saturday than at the Craighall Park Centenary Open Day. I have had the privilege of living in Craighall Park for nearly 40 years (terrifying thought!) and daily I am reminded how lucky I am. Apart from its centrality in Joburg and its easy access to all the major business and shopping hubs, it also has such a wonderful sense of neighbourhood and community. This was brought home even more strongly yesterday at the day of festivities and fun organized by the CraigPark Residents Association and held on the sports fields of the Craighall Park Primary School. They and others on their team have been leaders in managing refuse collection, town planning & environmental aspects, and work tirelessly for our neighbourhoods at issues ranging from potholes, to security, to domestic watch training sessions. There are also regular updates on community issues. 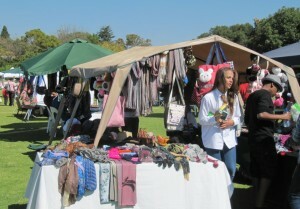 The really very special mix of Craighall Park was particularly evident at Saturday’s event. 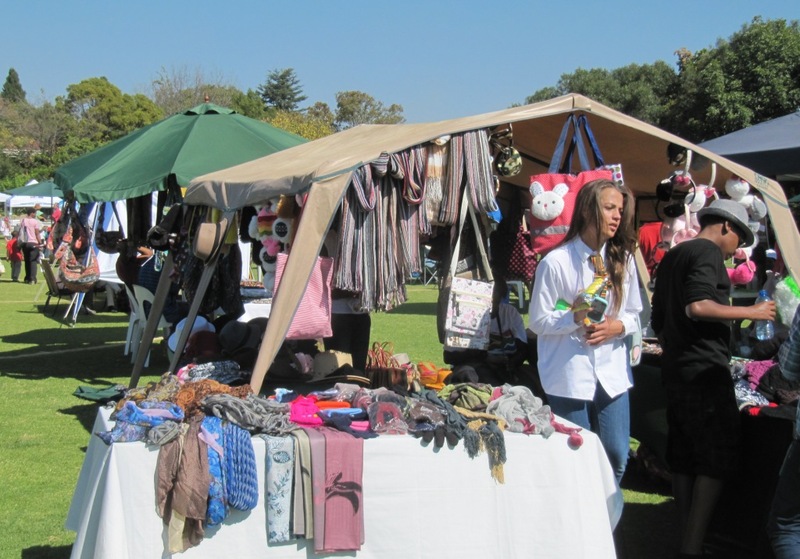 While Craighall Park is very much a suburban neighbourhood, there are also many small owner run businesses located along Jan Smuts and in several local shopping centres such as The Colony, The Lancaster, 9 Grafton Ave, and the Valley Shopping Centre. Seeing many of these owners at their stands on Saturday, brought home to me what a sense of locale and community we have in Craighall Park. And I even learnt all about cheese from Pepé who makes goat’s cheese (right here in Lancaster Avenue) using non-pasteurized milk which he gets from the goats kept by Onderstepoort Veterinary Faculty near Pretoria. I treated myself to a wonderful handmade wooden pen made from Leadwood by Frans Joubert. Frans uses all sorts of Southern African woods – Tambotie, Wild Olive, African Blackwood, African Red Ivory – to make his pens and pencils. Great presents! And of course I found the perfect honey. Two local residents had tracked down Peter Rattray, the great great grandson of William Rattray who developed the townships of Craighall and Craighall Park. Peter hand-drew a map of the old Craighall Park with a key to the sites of yesteryear, which created a lot of interest. I have written briefly on the history of Craighall Park and there is more information on . Given William Rattray’s strong Scottish connections it was fitting that there was a wonderful pipe band which added to ceremony and atmosphere of the day on Saturday. So well done to all the people who worked so hard to make this such a success with special mention to Wendy and Bianca.